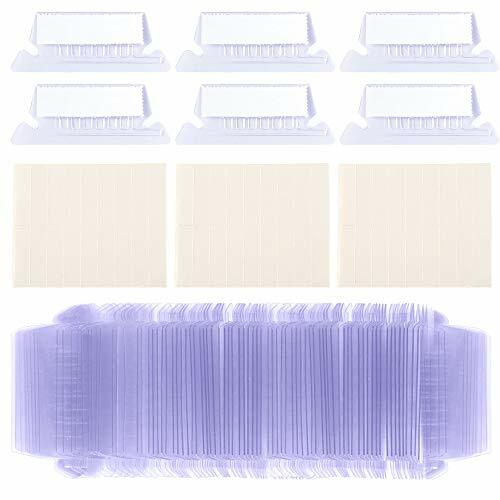 Selizo 180 sets insertable plastic hanging folder tabs and blank paper inserts, good to apply to files sorting and quick identification of hanging files at home and in our office. 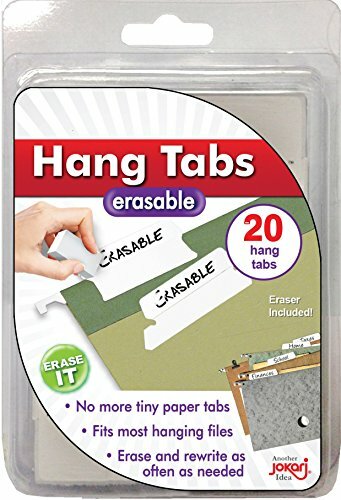 Or as replacement tabs for some pretty lousy tabs and old tabs. These hanging folder tabs have reasonably rounded corners and have a slight angle to them so that the label is easier to see. 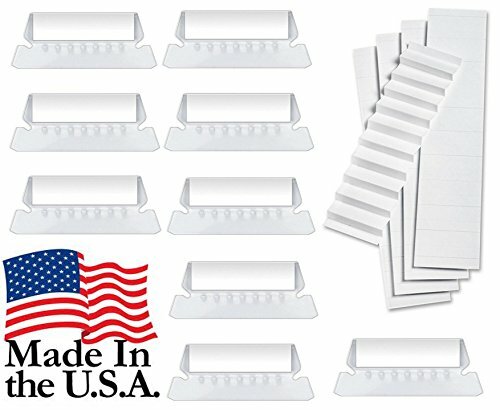 Standard Style Hanging File Folder Tabs, 2" wide, 100 Tabs/Box with paper inserts, Plastic Beaded Tabs with No Slip Grip, For Hanging Folders and Other Tab Products, Made in the USA! Standard Style Hanging File Folder Tabs 2"
150 Sets hanging folder tabs and inserts are enough to use for long. Pendaflex Hanging Folder Tabs allow you to customize your hanging folders. 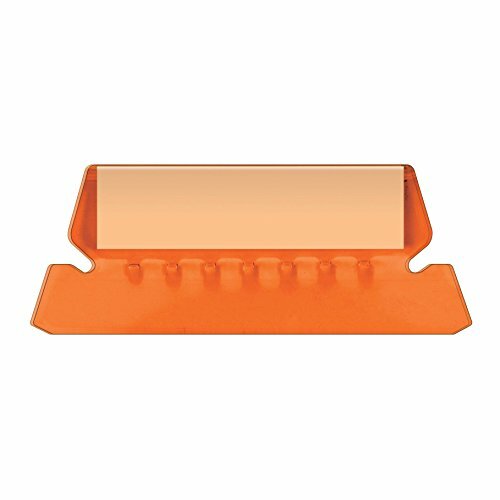 Clear orange plastic tabs (2" wide) with blank white inserts. Stagger the position of your tabs from folder to folder to keep each file heading in view. Tabs are large and angled for easy viewing. For letter and legal sized hanging folders. 25 tabs and inserts per pack. 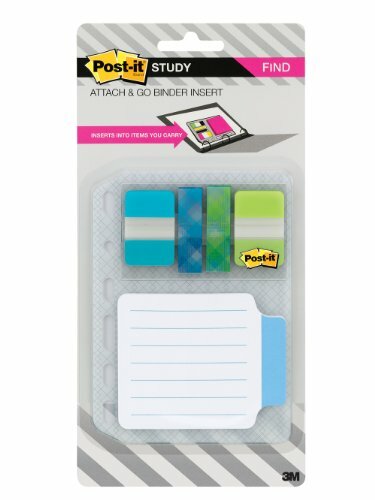 Color-code your hanging folders with heavy-duty poly tabs. Sturdy, smudgeproof and virtually indestructible, they can be installed in several positions on either letter-size or legal-size folders. 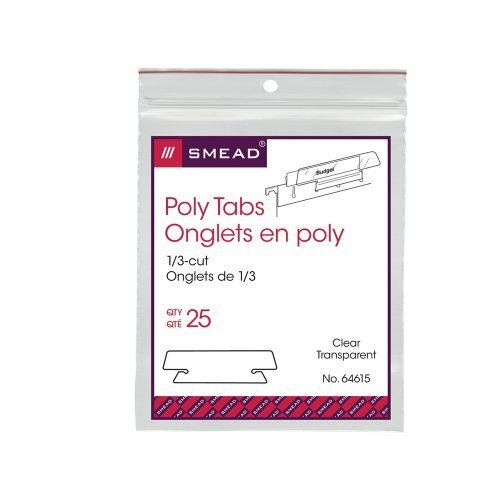 Poly tabs are 1/3 cut in assorted positions for subject headings. Design is angled for easy reading. Included white inserts come in strips that are scored and perforated. Blank inserts let you customize your file folders and create your own headings. Perforated and scored sheets tear and fold into strips of ten. Blank for up to three lines of type. Easy to insert into insertable tabs. Perforated and scored sheets tear and fold into strips of ten. Blank for up to three lines of type. 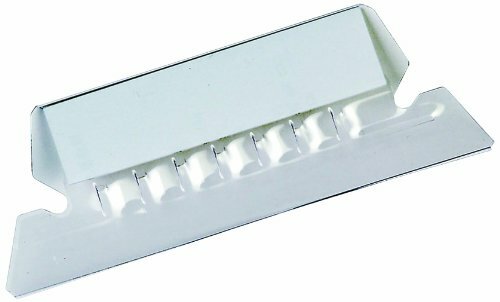 Brand: Pendaflex | Manufacturer: ESSELTE PENDAFLEX CORP.
Pendaflex Oxford Extra Plastic Tab measuring 2 inches accepts three lines of typing. 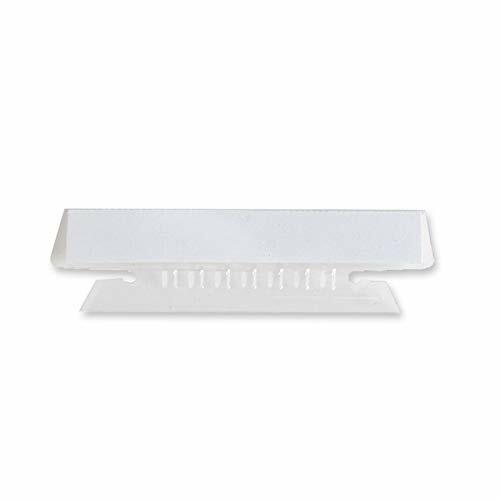 1/5 Cut clear plastic tab includes inserts while being crack and break resistant. PVC free tab is sold as 25 per pack. Have the latest and most functional accessory in keeping your binders organized to their full potential. UniKeep Tabbed Double Binder Pockets help you store and locate your documents, business cards, and media discs effortlessly. The two front slots on the front of each pocket allow you to add cards, CDs/DVDs, to pair with documents and other loose leaf content. Feature on all of our double binder pockets are tabs that make great dividers, easily flipping to the section you desire. Tab inserts allow you to label sections so you are able to find what you need fast and efficiently. 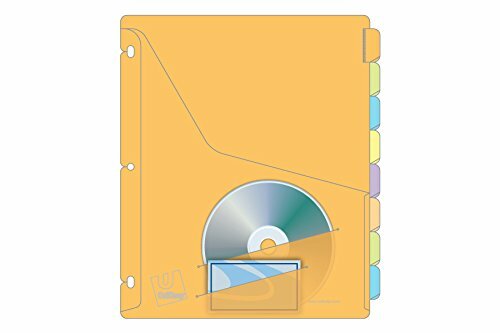 Durable snap-in holes allow easy organization of loose 8.5x11-inch sheets. The Tabbed Double Binder Pockets are compatible with any 3-ring binder. Like all UniKeep products, the Tabbed Double Binder Pockets are made in the USA. This high-quality product is one of dozens of organizational tools available from UniKeep. Each is designed to make your life simpler when it comes to storing, organizing, protecting, or showing off. UniKeep cases and Envypak pages represent the best and brightest brands throughout the world for handling and even mailing important messaging. 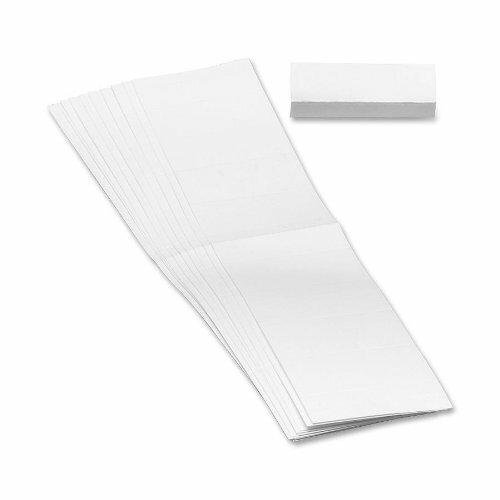 72 piece BLANK Peel and Stick Cardstock Bible Tabs 66 Books of the Bible (Genesis -> Revelation) Additional Tabs for you to write in just in case :) Product Size 6" x 12" **not to use for Catholic Bibles** These are extremely easy to use with its PEEL AND STICK feature. These are card stock Bible tabs with an adhesive backing for you to easily attach to each book of the Bible (all 66). Despite all the technological wizardry available today, some office "systems" remain steadfast, unchanged and perfectly functional; like hanging file folders. 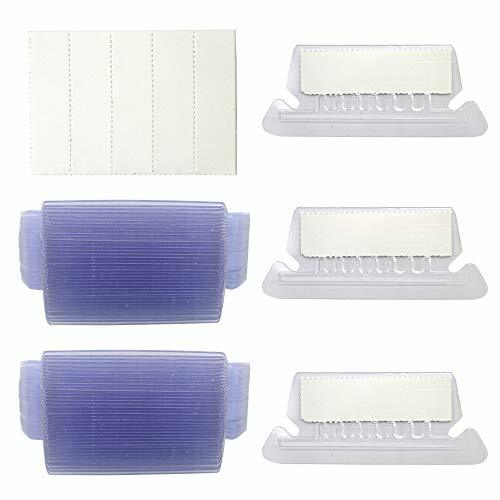 But you can toss out all those little plastic hang tabs with their annoyingly small paper inserts because Jokari has come up with something so amazing it's absolutely an office "must-have." Jokari's Label Once Erasable Hang Tabs Refill Pack contains 20 laminated hang tabs that are designed to fit into the vertical slots of standard hanging file folders, feature an integrated hinge for adjusting the view angle of the tab and allow any color or type of permanent marker to be easily and completely erased with Jokari's Label Once Eraser. For over 40 years, Jokari has held a special place in its heart for gadgets; today, they specialize in providing affordable solutions to common problems faced by consumers. From unique kitchen gadgets and household storage and organization solutions to their Healthy Steps kitchen tools designed to help with portion control and healthy eating, Jokari is committed to creating useful and often crazy looking "thingamajigs" that are fun, functional and work wonders. If it s worth hanging on to, it deserves a Smead hanging file. 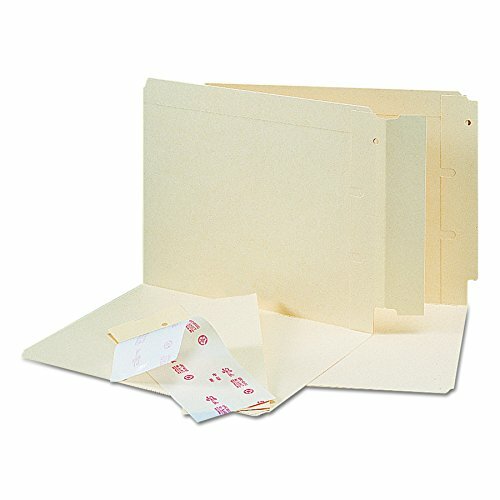 Organize your hanging file folders with heavy duty poly tabs. Easy insert tab design. Can be installed in several positions on either letter or legal size folders. Sturdy, smudge proof and virtually indestructible. Angled for easy reading. 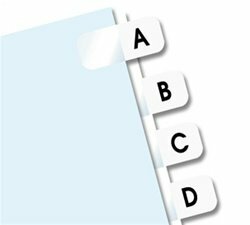 Larger 1/3-cut clear tabs make it easier to find the file you are looking for. Coated rod tips slide easily in file drawers. 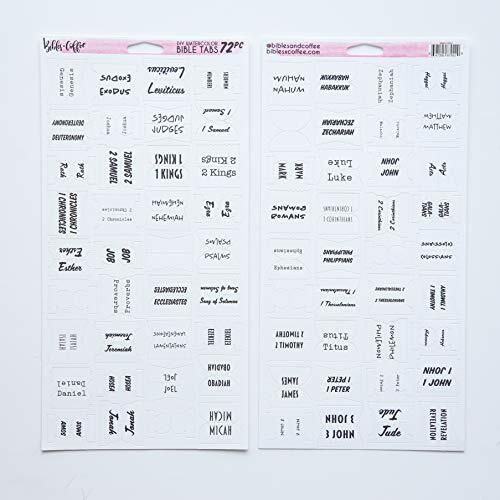 Includes 25 1/3-cut clear poly tabs (3-1/2" W x 1/2" H) and blank white tab inserts. Proudly made in the USA. Tabs are acid free and PVC free. If you have any question, please contect us. We'll try our best to help you. Size: 2.95 x 2.09 x 1.22inch/7.5 x 5.3 x 3.1cm. Materials: Plastic + Paper, Size: 2.95 x 2.09 x 1.22inch/7.5 x 5.3 x 3.1cm(each). It's easy to find the files you want from many files, saving time. It can be inserted into the hanging folder, very clean and convenient. 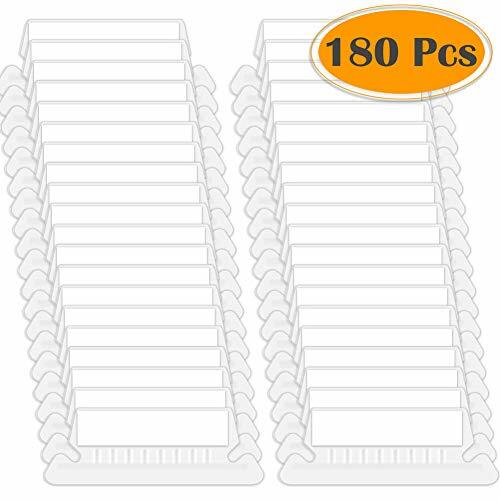 Package includes: 80pcs clear hanging folder tabs with blank paper inserts. Easy to organize and access files,especially the documents about the time of year. Get the word out on your shipments with Labelmaster Un3373 labels. 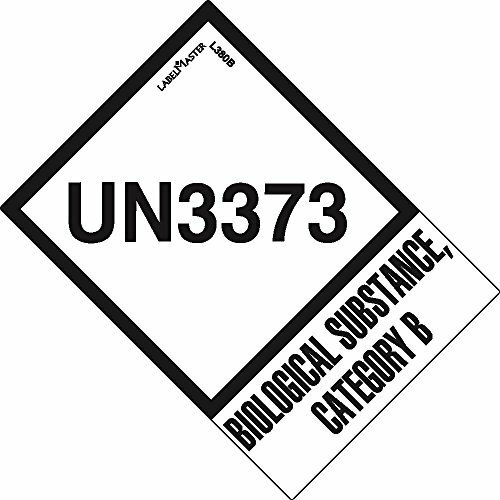 Preprinted with biological substance, category b, on the tab, these provide a quick reference for shipping Personnel to help ensure that handling instructions are communicated. Printed on paper, these air labels have outstanding chemical and abrasion resistance, feature strong adhesion to corrugated boxes, and help keep you in regulatory compliance. They measure 2 x 2 3/4 in. Straight cut tab 8-inch hig. 9-1/2 pt. manila stock. Self-adhesive with release backing. Fits letter or legal size folders. Smead 100 Years of Excellence. If it s worth hanging on to, it deserves a Smead hanging file. Reuse hanging file folders by inserting replacement inserts to create new file headings. White replacement inserts are perforated and scored to fit inside clear poly tabs. 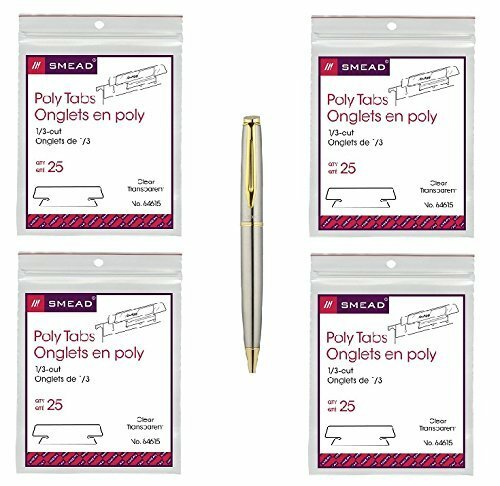 For use with 1/5-cut poly hanging folder tabs. 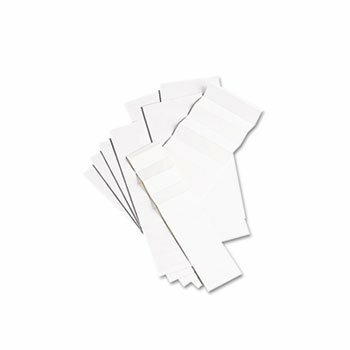 Includes 100 1/5-cut white replacement inserts (2" W x 1/2" H). Proudly made in the USA. Use plastic clear tabs with Business Source or most other hanging file folders. Tabs are designed to easily slide into premade slots on the inside of hanging file folders. Tabs come with blank inserts for easy customization. 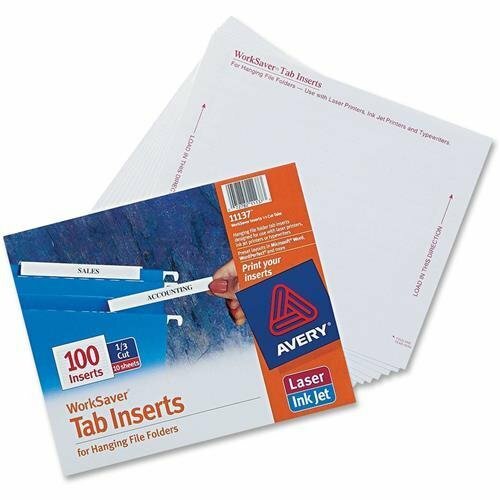 Avery Laser/Inkjet Hanging File Folder Inserts, 1/3 Tab, 3 1/2, White, 100/Pack Label your hanging file folders with these tab inserts. The white background makes text jump out, resulting in clearly readable labels for your files. Customize these inserts by hand or with your printer using free templates from Avery Design & Print. The tabs are also designed for use with a typewriter. The side-by-side design allows for printing on both sides. Finding the right hanging file folder will be so easy, it'll make your filing cabinet seem like an oasis of organization. File Insert/Tab Type: Hanging Folder Tab Inserts; Tab Cut: 1/3; Color(s): White; Width: 3 1/2". Easy to customize with free templates from Avery Design & Print. Create titles instantly for your hanging file folder from your computer. Side-by-side folding design allows printing on both sides of the insert, making it easier to identify and retrieve important information.